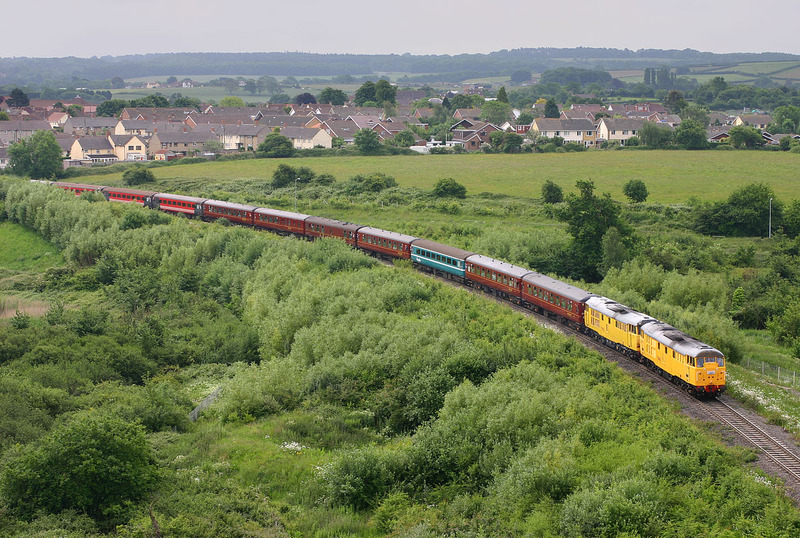 Network Rail's 31105 & 31285 were the star attraction on the Railway Children 'Bristol Coal-Stone Haul' railtour on 3 June 2007. Here they are seen from the lofty vantage point of the M5 Avon Bridge as they pass Lodway with the 1Z20 10:00 Bristol Temple Meads to Portbury Dock section of the tour. This is where the newly constructed line veers away from the former Portishead branch, which can be seen heading across the centre of the picture. Although heavily overgrown, the track is still in situ.